I first became aware of Rusty G’s when I saw them perform live in London on Halloween night. 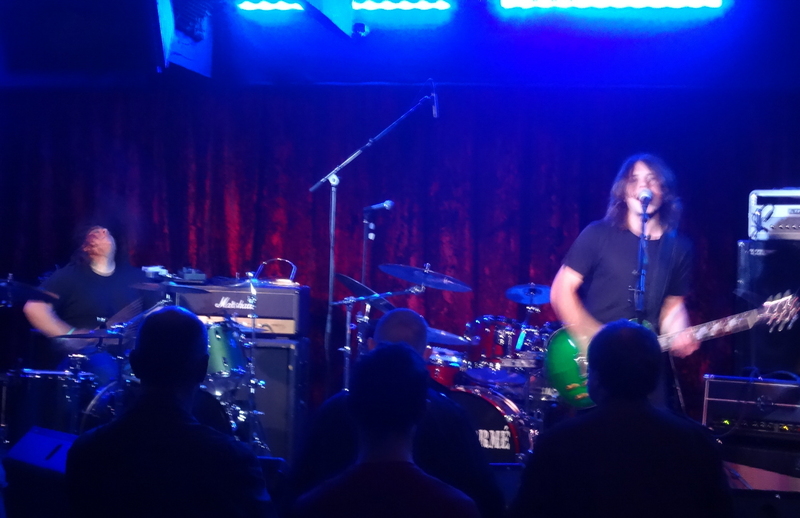 They were the opening act for guitar god Bernie Tormé, and the show was the fifth entry in my “Five Nights in London” series of live reviews. I arrived at the concert in time to catch the opening act, which was Rusty G’s, and it turned out to be an unexpectedly pleasant surprise. Raw, raucous, rough and ready. And way too much sound to be coming from a two-piece band! Now, several months later, I have the privilege of reviewing the band’s debut album, Low. 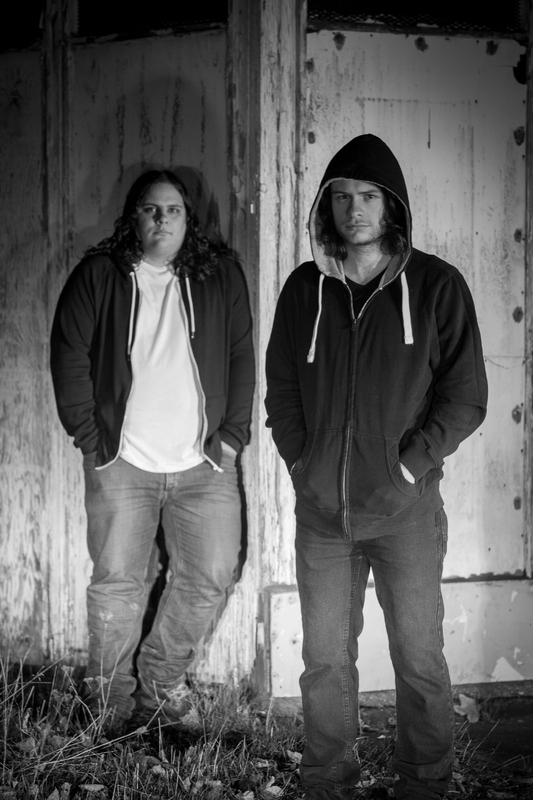 Doing power trios one better, Rusty G’s is a rare “power duo.” If it were easy, bass players could soon find themselves made redundant, but these guys have achieved a rare feat: They’ve constructed a complete sound as a two-piece. 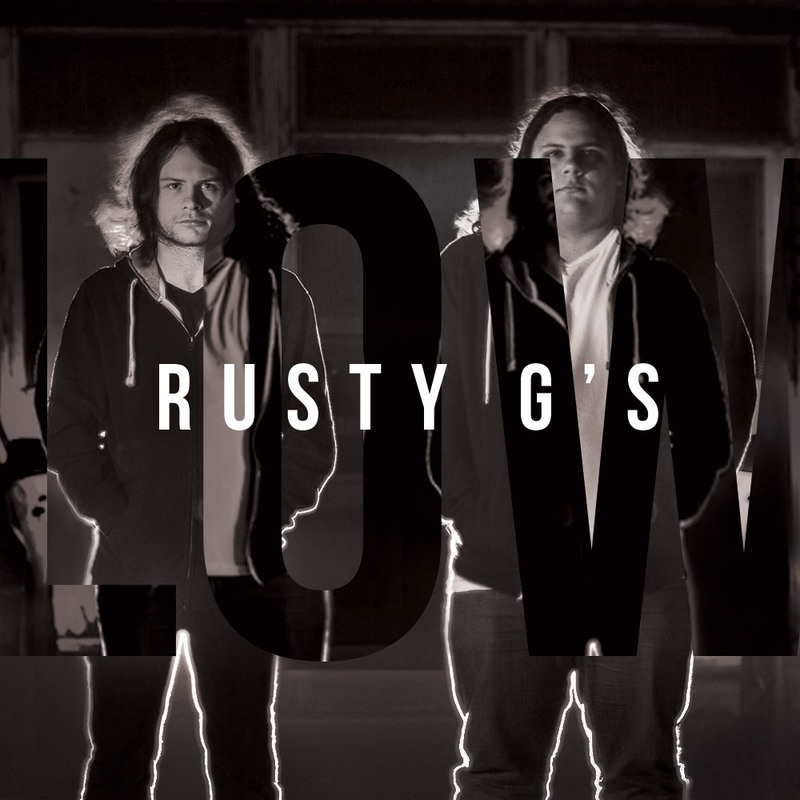 Slated for a May 9th release, Rusty G’s debut full-length album Low confirms the “power duo.” designation. Singer/guitarist James Finch and drummer Dan Lopez deliver a raucous disc of heavy metal that garnishes its lush power rock sound with a stripped-down edge. Opening track “Oh Yeah” kicks things off in a blaze of guitar before settling into a junkyard dog-esque, bare-bones, raw rock style. On this cut, I’m especially fond of the bluesy guitar riff that wails late in the song as it’s winding down, providing the only hint to the track’s impending conclusion since the drums never let up. The vocals on “Oh Yeah” (and the rest of the disc) are of the old-school, early metal, “sing loudly, as near the edge of the vocalist’s range as possible while still being gravelly but tuneful” variety. Exactly as you’d expect to appropriately accompany the music. “Crawl” follows with a killer riff providing a monster hook to the otherwise pulsing, relentlessly plodding steamroller of a rhythm. A raw guitar hook that embeds itself into my brain for days at a time – not surprisingly, perhaps, punctuating what has become my initial favorite track on the disc – is featured front and center in “I Don’t Want This.” And it’s not just the monster guitar hook; the “ooh, I don’t want this” line is an earworm, too. One of the more jangly, raucous tracks on Low is “Don’t Belong.” Its melody suggests this may translate exceptionally well to other musical styles; it ain’t necessarily just a metal number. The verses hint at a blues-punk-metal hybrid, while the fog of heaviness in the bridges suggests a rougher-edged version of Metallica-era Metallica. Later in the collection, there’s an impressive stop-start rhythm and heavy, metal-bluesy, growling guitar hook in “Waiting” that’s augmented by some nice, true-to-the-song drum runs, sometimes expressive, other times seemingly in anger. Though not the only place on Low this occurs, “Static” is notable as primarily a drum-driven selection, with the vocals and guitar (aside perhaps from a late solo) playing supporting roles to the drums’ rhythm and short runs. Not a showy song; just real damn solid. 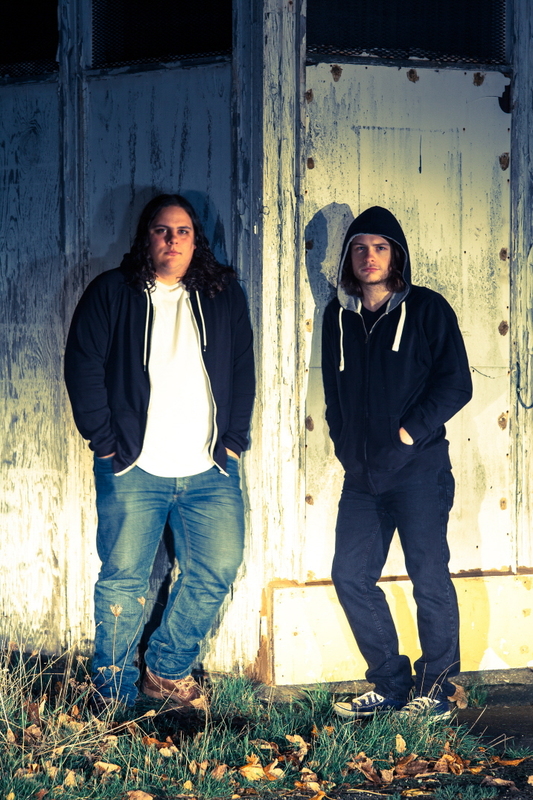 And a strong showcase of how a two-piece metal band can be versatile without going mellow. And if you want an example of prog-influenced heavy rock, you’ll find it at the end of Low. “Losing You” has the fast, slow, experimental, soft-and-heavy elements that could easily be prog-rock influenced. It’s a great way to round out the album, with this six-minute opus extending to the final curtain. Heavy and cohesive throughout yet with enough variance to stay fresh from song to song, Low makes a good beginning-to-end listen. My personal standout tracks likely differ from yours, but they all maintain a raw power, rhythm, and broad rock appeal that encompass Rusty G’s trademark sound. Yes, power duos are a thing now. I’ve seen Rusty G’s live, and I can confirm they put on one heck of a show. This is a great live band, so get out to a gig if you can. 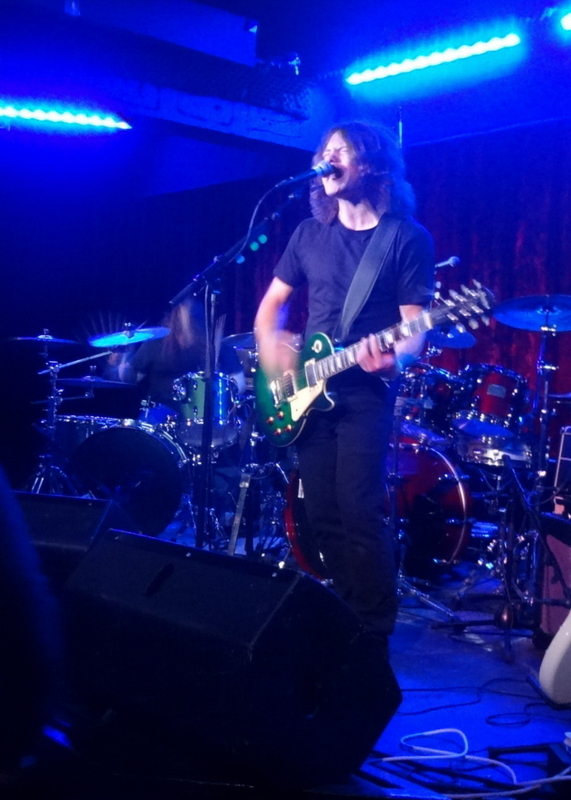 According to Rusty G’s website, you can catch the band live at a variety of venues in the coming months: on Friday, May 6th at Craufurd Arms in Milton Keynes; on Wednesday, May 18th at The Dublin Castle in London; on Friday, May 20th at Maida Vale in Sheffield; on Tuesday, May 31st, supporting Cold in Berlin at Gullivers in Manchester; on Wednesday, June 1st, supporting Cold in Berlin at Bannermans in Edinburgh; on Friday, June 10th at the Willow Festival in Northampton; on Saturday, July 2nd at Cranfest in Cranfield; on Friday, August 19th at Tribfest in Yorkshire; on Saturday, August 27th at Bridgnorth Festival; and on Saturday, September 3rd, supporting Eat This at The Castle in Wellingborough. Obviously, check the band’s website for additional bookings, details, and changes. This entry was posted in Album Reviews and tagged Album Review, Geoff Wilbur, Rusty G's. Bookmark the permalink.